Local marathon man ‘Blind’ Dave Heeley and his Olympic Torch today launched a bus named in his honour by National Express West Midlands. Staff at National Express West Midlands Pensnett garage named a bus after Blind Dave to honour his amazing achievements for local charities including his epic seven marathons in seven days across seven continents. Dave was recently torchbearer on the Cobridge leg of the relay. 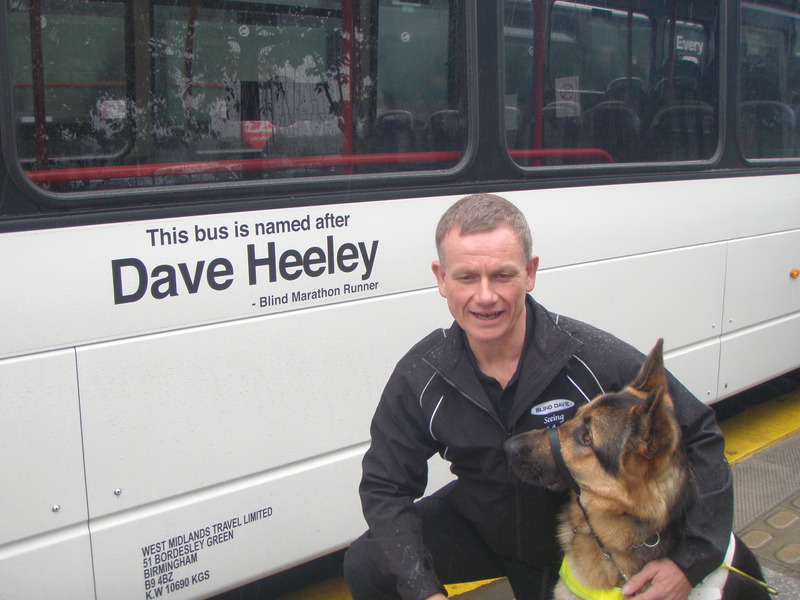 When told of the naming Dave thought it was a practical joke and did not believe it until the bus operator contacted him about launching the vehicle.Dave has raised hundreds of thousands of pounds for local charities and also visits local schools and businesses as a motivational speaker.